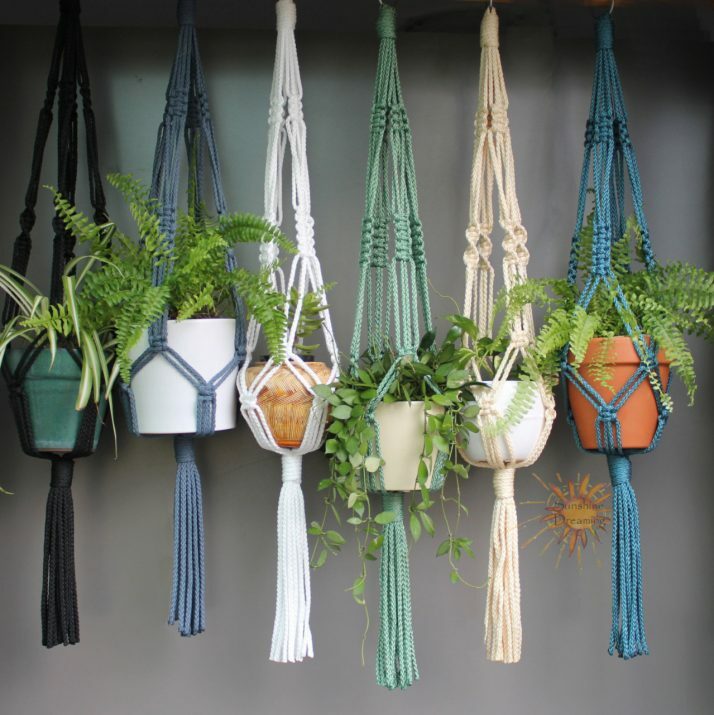 When it comes to making any home decor item or accessory, macramé technique is often regarded as a great idea. 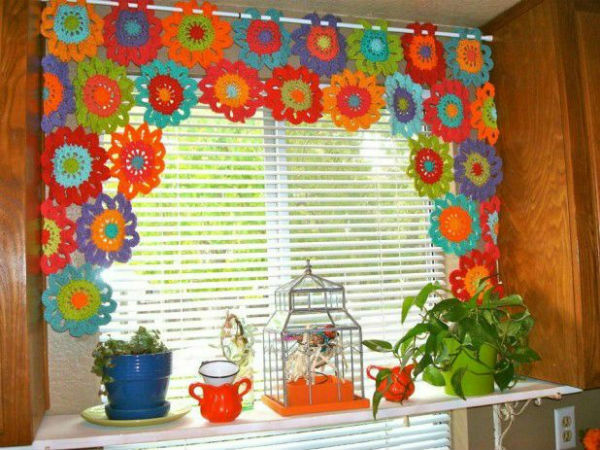 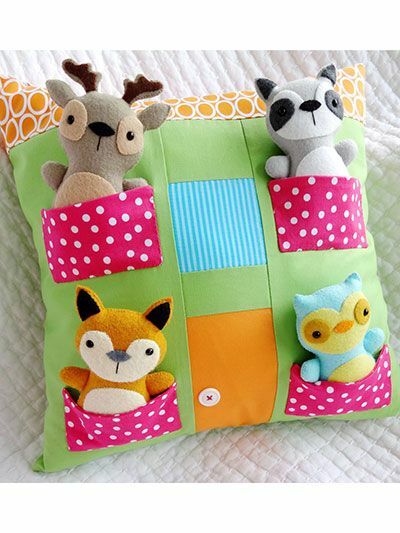 Starting from the wall hangings to the curtains, belts, bracelets or jackets, there are ample number of ideas that you can work upon. 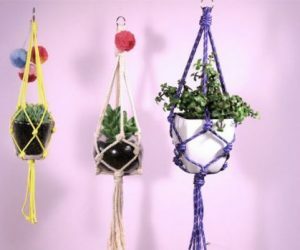 Handmade plant hangers are also among the popular items that can be made using this technique. 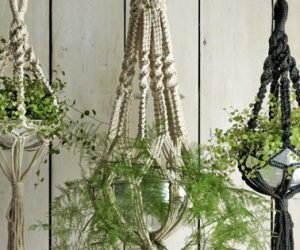 For all those who are fond of gardening, but have limited open spaces, hanging garden is simply a boon for growing the best orchids or flowers. 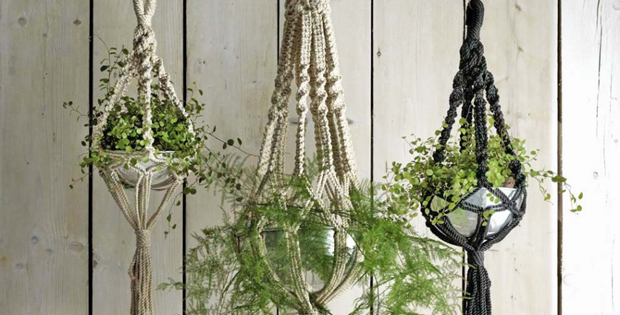 The small pots with the basket hanging from the rope hangers giving a completely enhanced look to the ambiance. 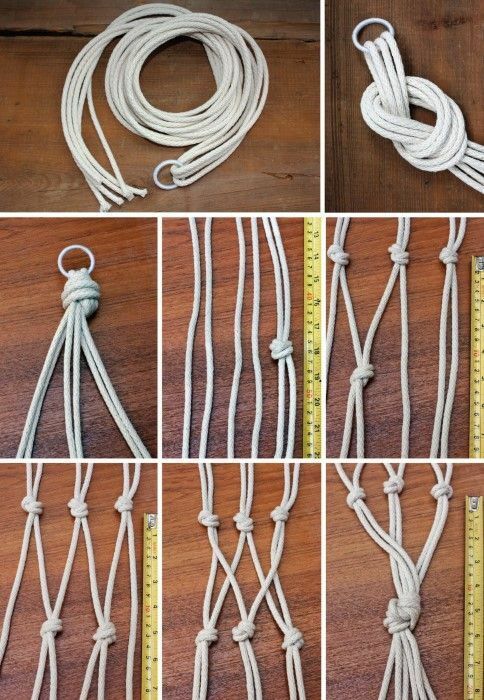 Making any of the hangers is pretty easy if some of the illustrative tutorials below are followed. 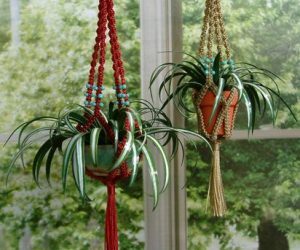 Even beginners can adopt the Macramé knotting methods and prepare these by using beads or metal rings as embellishments. 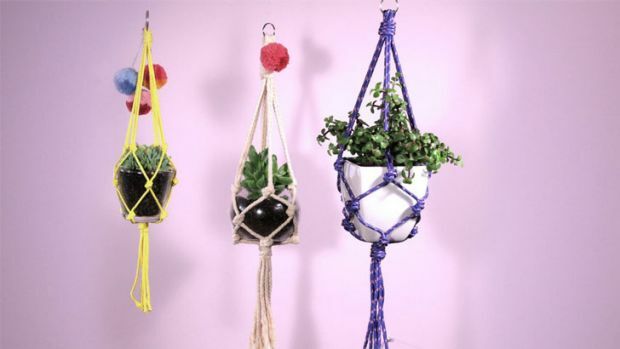 After careful studying of the basic plant hanger tutorial, it will be very easy to implement the same technique to make the great looking product yourself. 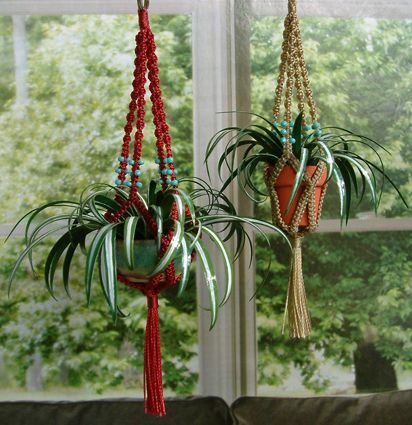 Adding small beads of the hanger can enhance the appeal of your creation. 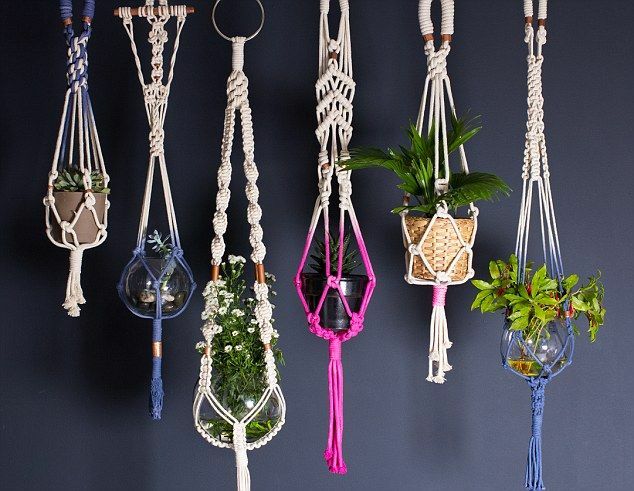 It is evident that if you create a stylish looking plant hanger using the macramé method, you are destined to give a great makeover to you living space. 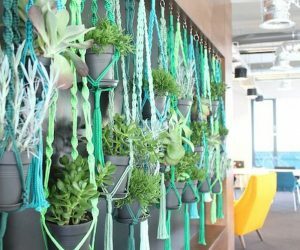 It also offers cleaner and greener surrounding while giving an opportunity to test your own creativity. 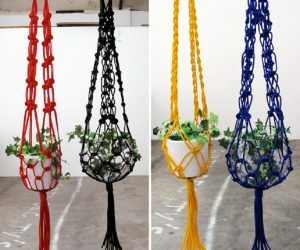 It is a very simple yet good looking pattern that can be your inspiration for the next vibrant hanging garden. 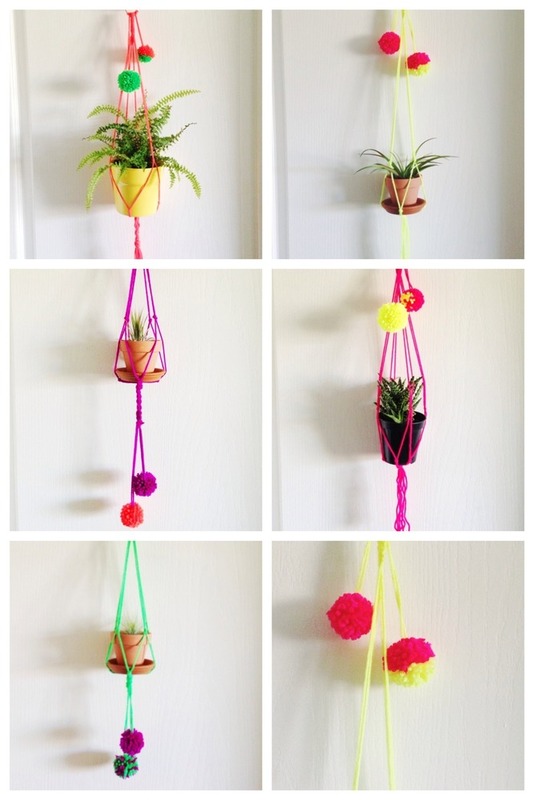 Be it green or any of your favorite color, this plant hanger can be experimented in a number of ways. 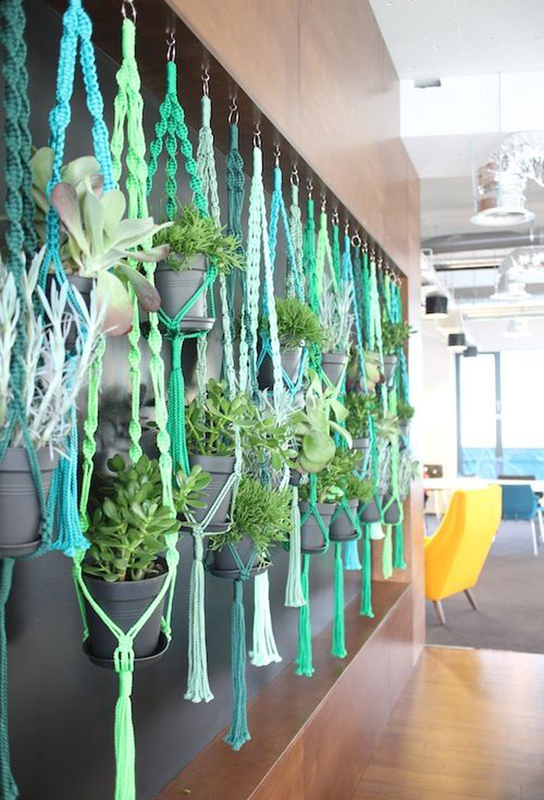 Using the textured handiwork coupled with stranded designs, this hanger can really look very intimidating. 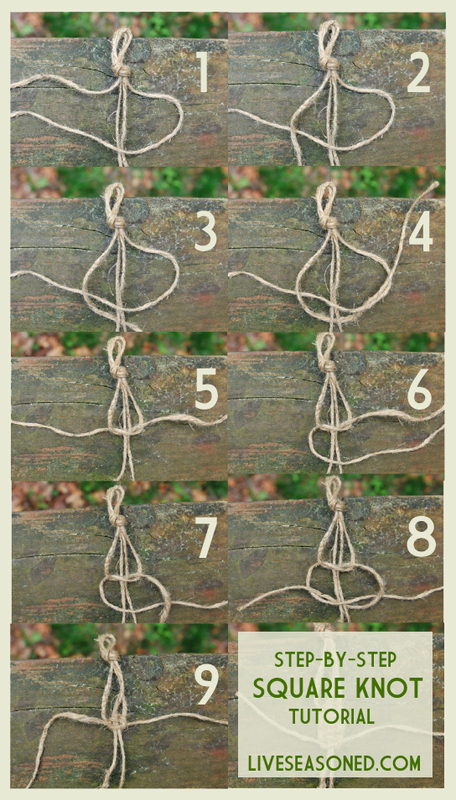 You can follow our DIY instructions for understanding the way in which his can be made. 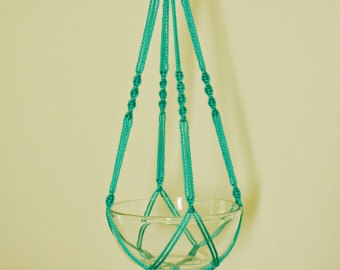 How to Macramé Plant Hanger? 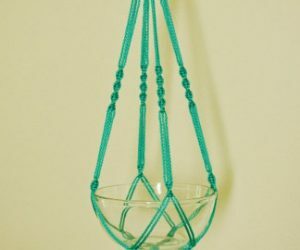 This is quite simple but the end product looks quite unique as it combines shaped baskets and pots. 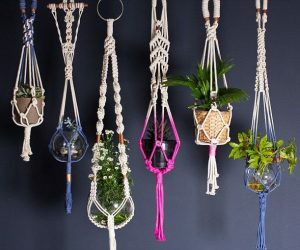 It is certainly an ideal pattern to make when you are planning to transform the indoors by having a contemporary looking classy hanger made from nylon threads. These designs can be worked in a number of colors to match the interiors of the house and add a different charm altogether. 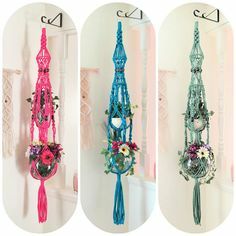 Having a combination of a pink colored hanger with a while pale background is something that can work with different dark shades. 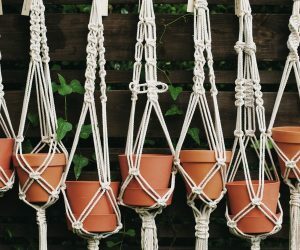 Made from long rope with adjustments to fit in bigger plants, this pattern is great especially when you are looking for a mini plant holder that can support large pots. 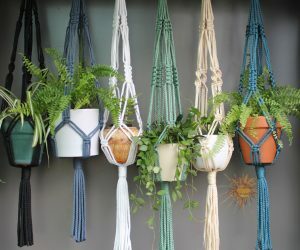 This particular plant hanger can be made by using a variety of colors clubbed with both white and several other color combination pots. 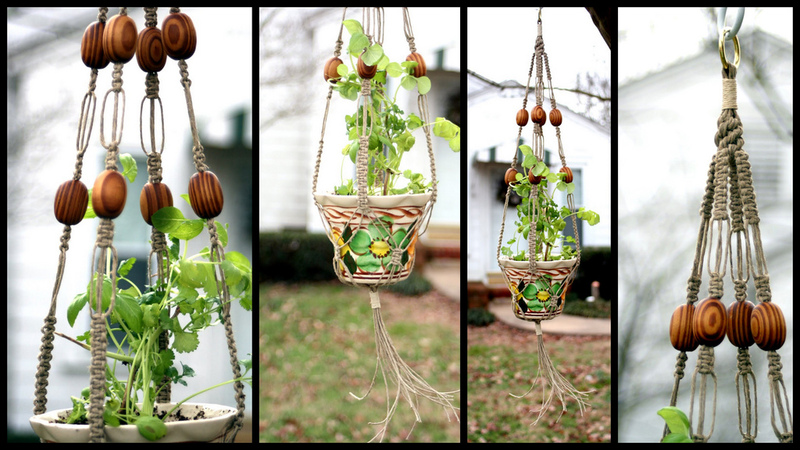 It definitely gives a new feel and life to the balcony once installed. 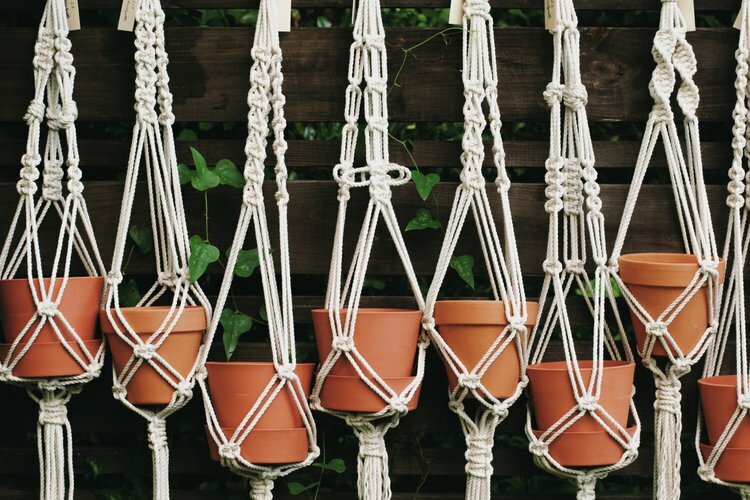 If it’s DIY smaller and lighter plant variants that you are planning to grow at your house, this pattern here made with twine is a perfect alternative to go for. 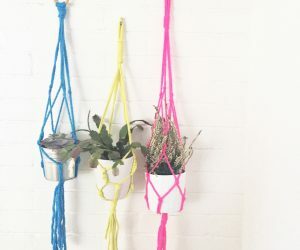 This may also be able to support a bit heavier pots but it’s better avoiding very heavy pots to ensure that the twine doesn’t break due to excessive weight. Probably the simplest of the patterns, it is suited for people who are about the start learning the basics of the macramé method. 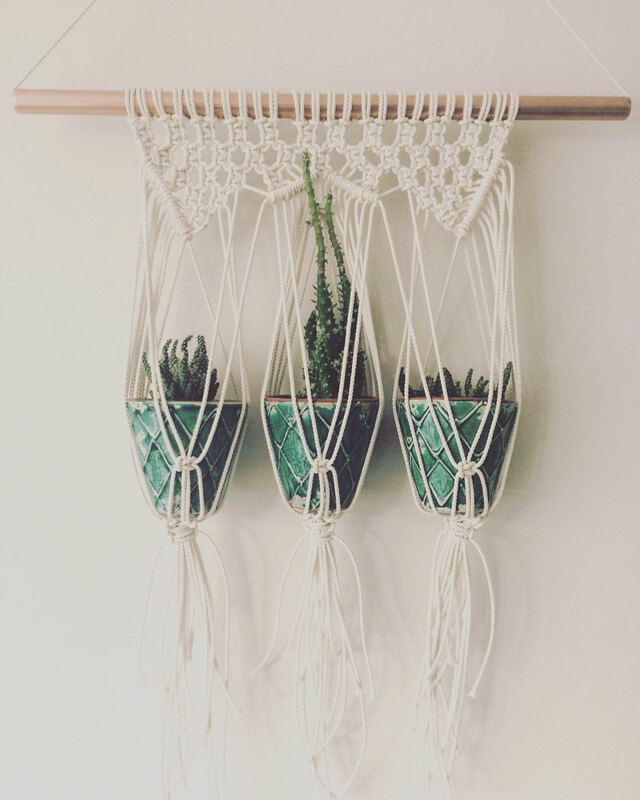 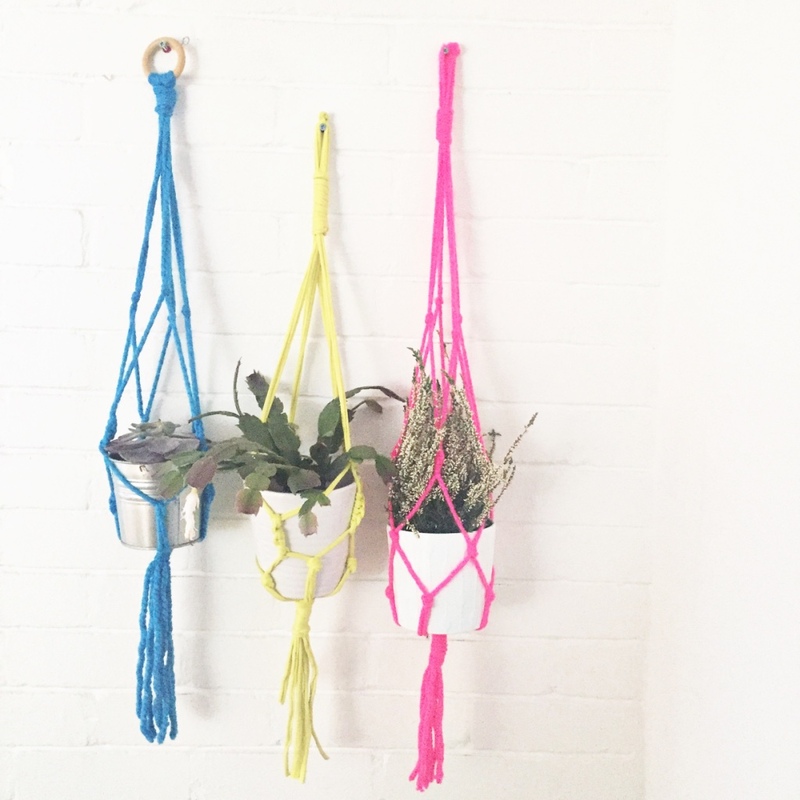 How to Make a Simple Macramé Plant Hanger? 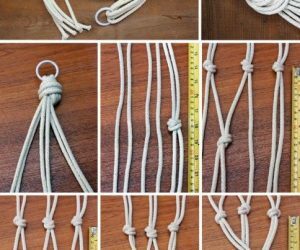 By using half-square knot for creating beautiful clustered designs, this hanger is easy to make by following the detailed instructions provided above. 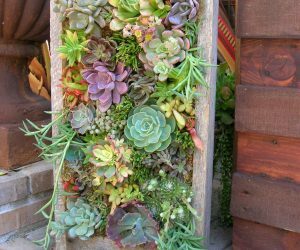 Having a 2 tie simple tire plant hanger works great when you wish to accommodate a vast number of plants using less space. 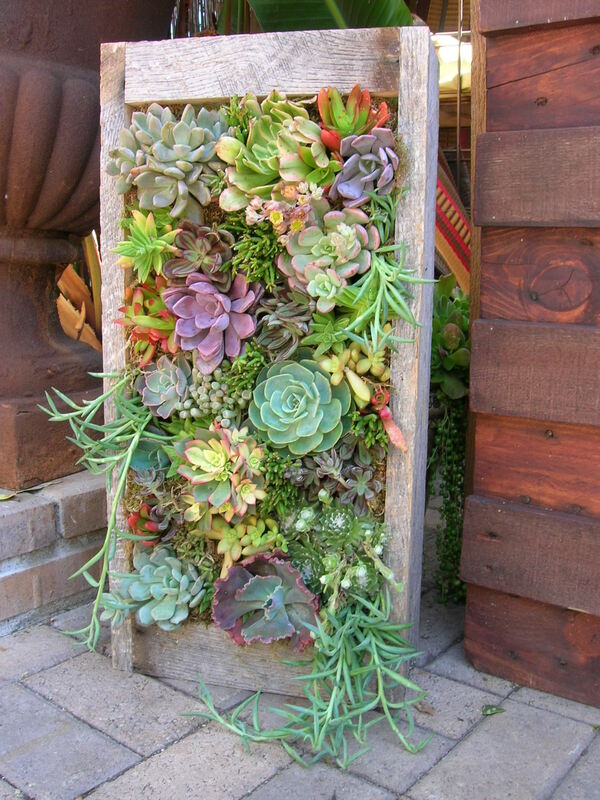 It is recommended if space is a matter of concern. 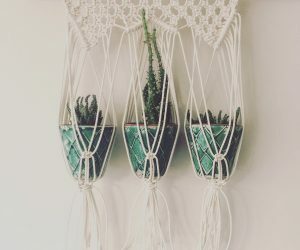 The pattern can be an ideal option if you are looking to teach your children the art of macramé techniques. 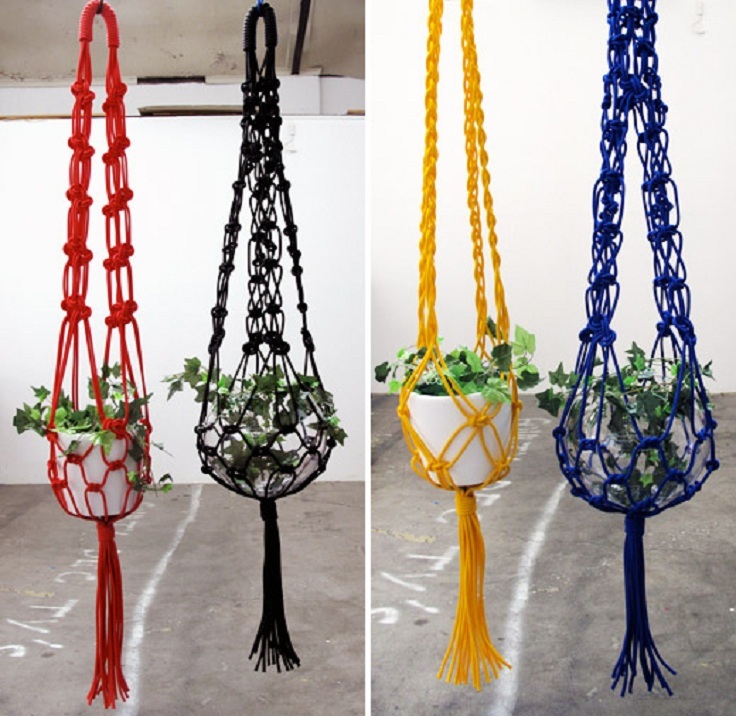 The multicolored ropes can make the project even more exciting for the kids to indulge in.